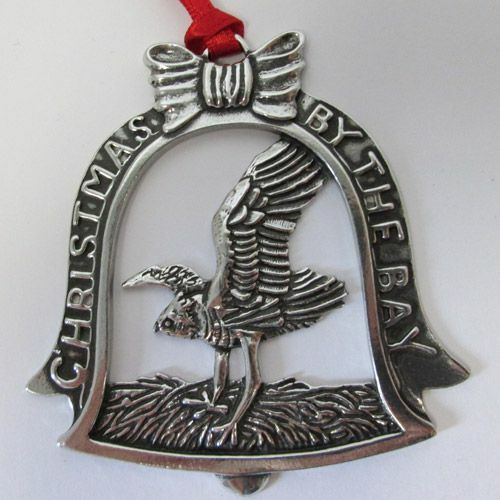 The 2014 Christmas By The Bay ornament from Salisbury Pewter is the latest in their annual collection. 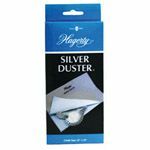 Each year Salisbury creates an ornament that is inspired by the Chesapeake Bay region. 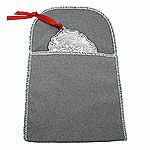 This year the ornament features an eagle landing on a nest inside the traditional bell. 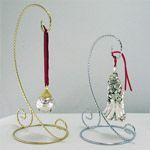 This ornament also comes with a red ribbon for hanging and is dated on the back. Engraving is not available on this item. Hand-crafted from lead free, tarnish free pewter in the USA, the Salisbury Christmas By The Bay ornament will remain for generation to generation.